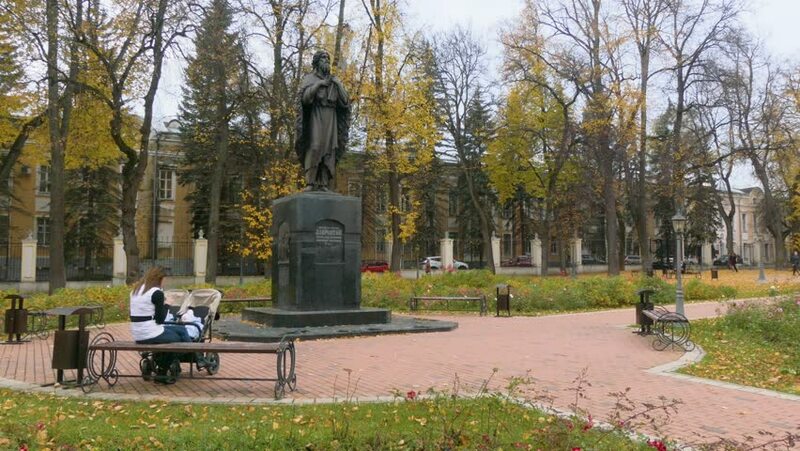 Monument to holy righteous Lawrence Kaluzhsky. Mother with a baby carriage. Central Park of Culture and Rest. Kaluga, Russia, October 8, 2018.
hd00:10Victorian built necropolis with many tombstones. hd00:09Udine, Italy /Udine, 14/02/2018: panoramic video of Piazza Primo Maggio with movement from left to right. Piazza Primo Maggio is among the largest in the city of udine udine.